This is a late 1800’s French piano that I restored several years ago. The harp and the pinblock were built into the rim of the piano requiring the rim to be disassembled. Not an easy task. Here’s a view of the harp. 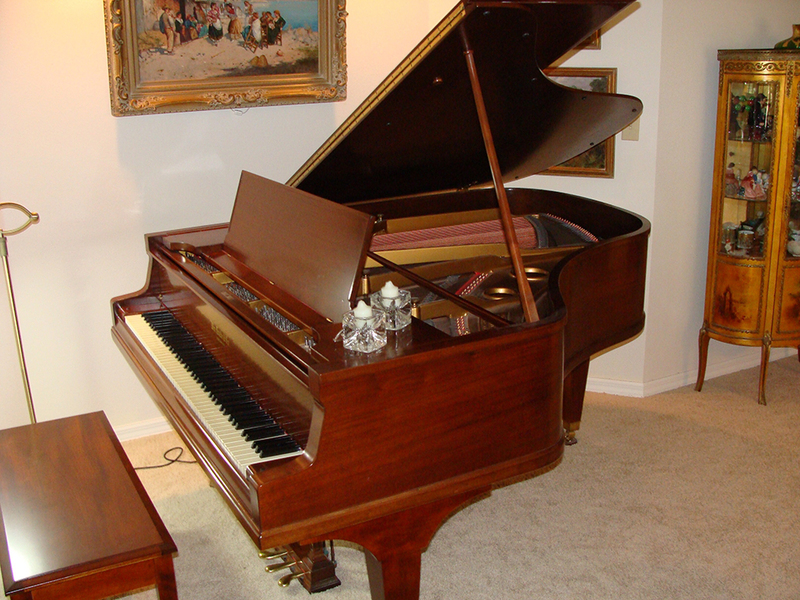 This piano had a non modern action and damper system that was beyond restoring. A new action including keys and keyframe had to be engineered from the ground up. This is a picture of a 1900 Steinway model “A” with new soundboard and bridges. Notice the detailing of the lettering. All the little touches add up at the end. This is a nice Knobe grand that I restored about ten years ago. Even after ten years it is a wonderful sounding (and looking) piano. It’s fun to be able to visit my past work. 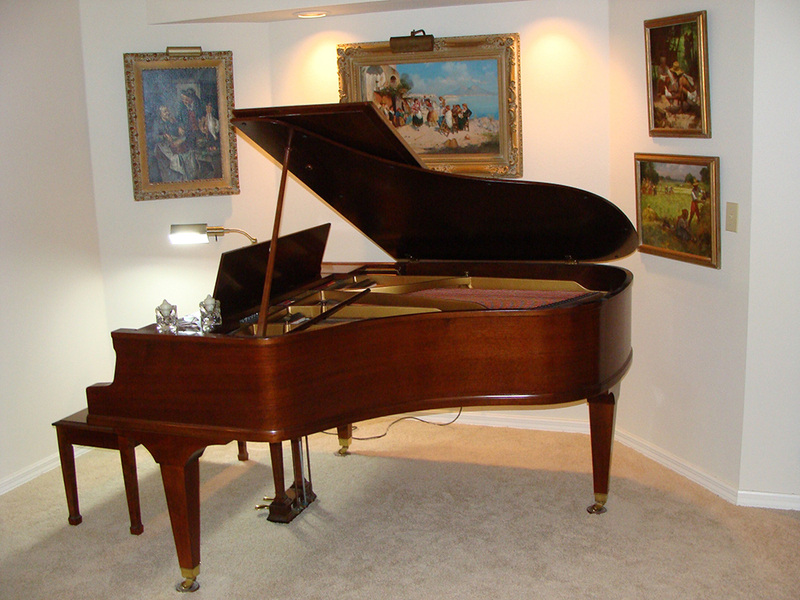 This is the Mason & Risch piano featured on the restoration page. It has beautifully carved legs and pedals.